JJ Loughran has recently purchased a Baker AWA-IV Static Motor Analyser. 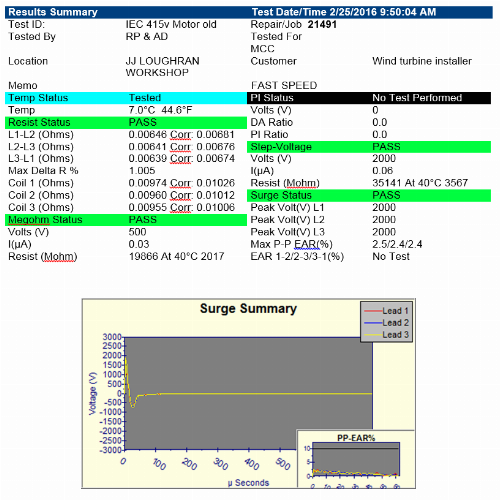 This is a fully-automated device that performs repeatable, user-programmable tests to thoroughly assess the strength of a motor’s insulation and circuitry. It is also a positive reinforcement to our customers, cementing the quality of our repairs, in accordance with ISO 9001:2008. 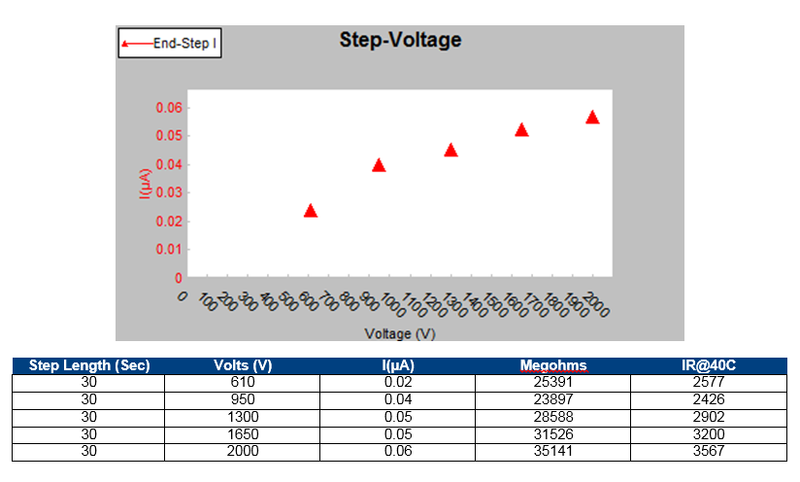 Results are presented in simple, easy-to-understand graphs and reports that give our customers the information they need to help make informed choices, which in turn minimises costs and unplanned downtime. In addition, the 12 kV HO (high-output) Static Motor Analyser allows surge tests on large motors, including 415V, 690V ,3.3kV & 6.6kV Motors respectively. JJ Loughran choose SKF Baker over its competitors as Baker testers have been on the market for over 45 years and have the expertise to fully support their equipment with product training, application support, calibration, repair etc. JJ Loughran’s new 12kV High output Static Motor Analyser is fully portable and comes with a heavy duty pelican case which makes it available to our engineers on site and helps our customers diagnose difficult electric motor issues. We understand that maintenance budgets can be under pressure, with our onsite service we can directly provide the Baker Static Motor Analyser, rather than customers having to purchase a unit themselves and tie up large amounts of capital in expensive and specalised test equipment.